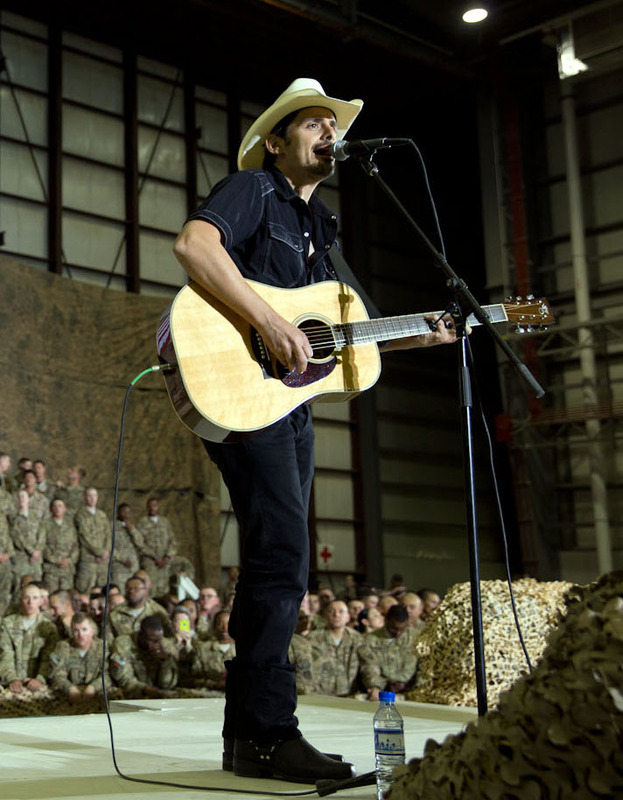 Brad Paisley boarded Air Force One on Saturday night (May 24) with President Obama, and made an overnight flight to Bagram Airfield in Afghanistan. The unannounced trip allowed Paisley to surprise US troops with a one-hour acoustic concert on Memorial Day. The singer-songwriter referred to the event as “the honor of my life” as he performed for about 3,000 U.S. Troops stationed in Afghanistan. President Obama also spoke, thanking the troops for their extraordinary service and also met with military commanders and visited wounded troops in the base hospital.